70x7 Establishes accessible and effective systems of basic support so that ex-offenders re-entering their community from prison/jail and persons recovering from addictions will be a strong and vital part of their families and neighborhoods. Those systems include relational support and programs to sustain addiction and drug recovery, employment, life skills coaching, counseling services, transitional services and mentoring. Preferred Dealerships contributes on an annual basis through local initiatives. The American Red Cross shares a mission of preventing and relieving suffering, here in Grand Haven, Spring Lake, Grand Rapids, Muskegon and Michigan Counties and around the world. Their strategy is executed through five key areas: Disaster Relief, Supporting America's Military Families, Lifesaving Blood, Health and Safety Services and International Services. Preferred Family Dealerships participates and contribute at area locations. Focusing year round on the men and women of the United States Coast Guard serving in the West Michigan area. 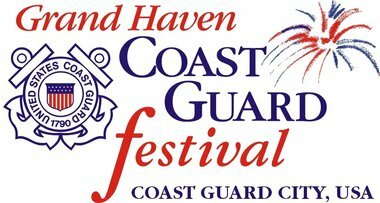 Building relationships with Coast Guard leadership that fosters the theme of "Grand Haven Coast Guard City USA!" Drive 4 UR School was developed by Ford Motor Company as a fun, engaging way to help schools raise money to support their sports and extracurricular activities. Local Ford and Lincoln dealerships partner with a local high school to conduct a test-drive fundraising event. For every valid test drive completed, Ford will donate $20 to the participating high school, up to $6,000! Grand Haven Artwalk is an annual celebration of artists, local businesses and members of the lake shore community in a collective collaboration of art. Artists from the local area and beyond participate in an art competition in the following categories: photography, painting, mixed media and sculpture. Grand Haven Christian Schools are teaching from the reformed perspective, believing that God is Lord of all areas of life. We have classes ranging from pre-school through 8th grade, in the academic disciplines as well as physical education, band choir, music, visual art, computer technology and introductory Spanish. Specturm Health's employees and physicians share a common mission: to improve the health of the communities we serve. As a not-for-profit organization, Mayo Clinic reinvests all earnings into improving patient care. Yet philanthropy provides essential support as we develop better methods to understand, predict, prevent, diagnose and treat disease, and train the next generation of physicians and scientists. Mercy Health Partners is committed to being the most trusted health partner for life by building strong, genuine, long-term patient relationships through patient-centered, personalized primary care; coordinated specialty services and care management; and convenient access to the health system. Muskegon Christian has a mission to provide academic excellence with a Christian worldview to engage each student in a lifetime of Christian Discipleship. At Pound Buddies, our core purpose is to care for homeless dogs and find them new loving families. Our mission is to provide shelter for homeless, abused or neglected dogs. To report a case of animal neglect or abuse, please call (231) 724-6007 or 911. Facilitate the adoption of homeless dogs into loving new homes. Increase community awareness of pet overpopulation and encourage owners to spay/neuter pets to decrease the number of adoptable dogs euthanized simply because there aren't enough homes for them. Provide temporary shelter for lost or stray dogs who are picked up or brought in by law enforcement or concerned citizens. If you are looking for a lost dog, see how we can help you re-connect with your lost friend. The core mission of the IRSF is to fund research for treatments and a cure for Rett Syndrome while enhancing the overall quality of life for those living with Rett Syndrome by providing information, programs and services. Local music festival committed to providing a full entertainment experience for the Grand Rapids community. Sandy Corley started the Fremont Michigan Chapter of the Harley Owners Group in 1986. He was the owner of Sandy's Harley Davidson Sport Center and was a charter member and strong supporter of the small but dedicated group of riders in the area. Shoreline Christian School educates students in preschool through grade 12, challenging them to grow academically, socially and spiritually. Our goal is to teach them how to think, rather than what to think. Working in partnership with parents, we help young people become discerning individuals who know how to use what they've learned for God's glory. Team RWB's mission is to enrich the lives of America's veterans by connecting them to their community through physical and social activity. By creating authentic relationships, developing physical, psychological and social health, and bringing back the military sense of pride and being a part of a team, Team RWB enriches the lives of our veterans. Side Effects Inc. specializes in raising advertising and sponsorship revenue to fund new equipment and provide a revenue stream for high school athletic departments nationwide. Our mission: to develop and nourish relationships within communities while making a difference, serving Christ and positively affecting people's lives. The Y is a powerful association of men, women, and children committed to bringing about lasting personal and social change. With a focus on nurturing the potential of every child and teen, improving the nation's health and well-being and providing opportunities to give back and support neighbors, the Y enables youth, adults, families and communities to be healthy, confident, connected and secure. The Pursuing A Dream Foundation was born in August of 2002 by Dave Owen and his wife Jane. They established it to provide outdoors recreational opportunities regardless of a person's limitations. Since the beginning, it has grown and has been able to host a number of annual events including: pheasant hunts, deer hunts, fishing events and shootouts.